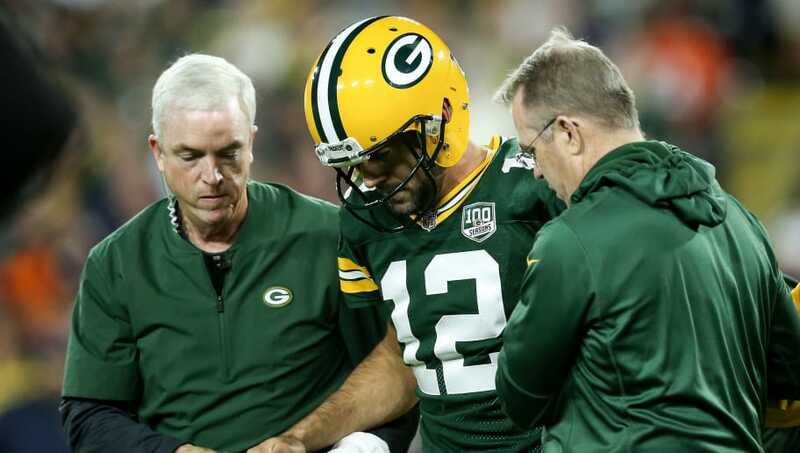 ​Aaron Rodgers' health may be more concerning than originally speculated. Rodgers went down with an MCL sprain in his left knee during Green Bay's ​miraculous comeback win against the Bears this past week. Just a sprain may seem like a blessing in itself at first, but his movement will likely be limited for at least a month while he recovers. ​​Rodgers' ability to drop back and his movement in the pocket could take a serious hit in the coming weeks. The Packers will likely give him as many shotgun snaps as humanly possible while he continues to nurture his knee back to health. His movement in the pocket will be limited for at least two weeks. ​​Even without practice, Rodgers should be more than ready to suit up this Sunday. Playing predominantly shot gun snaps will give him Rodgers' more time in the pocket, but even still they'll play a quick offense. We'll have to wait and see how immobile Rodgers will be this Sunday, but don't be surprised to see him hit the ground more often than usual.